Here's something I missed earlier in the year (can't imagine what might have distracted me): the government is holding a competition for proposals to develop Small Modular (nuclear) Reactors. Yes, really! And there was us thinking they've bet the farm on the Hinkley white elephant. SMRs are said to offer a corrective to the general direction of travel of 'conventional' nuclear plant development costs which, tracking EDF's ridiculous activities across Europe, are headed for the strato-sphere. 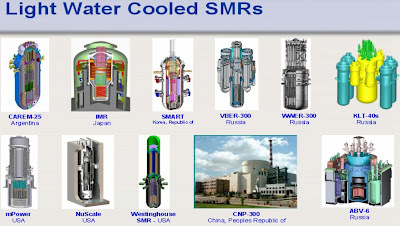 The first point about SMRs is, you build lots of 'em in proper factories, instead of one-offs in some remote and soggy field a long way from where engineers and manufacturing resources actually live. So you get economies of scale & experience. Post Piper Alpha (as I have written about more than once), pre-fabricated modular onshore construction revolutionised the costs of offshore oil & gas development - in the highly-desirable 'downwards' direction; it being even dafter to build stuff offshore than it is in a remote & soggy field. So the concept has a very encouraging precedent. Secondly, SMRs being small and (so we are invited to believe) jolly safe, you site them near centres of population where the power is actually needed (unlike certain types of 'renewable' power plants we could all mention) - another big advantage. Then you can run district heating off them, making use of the epic amounts of otherwise-waste heat that issues forth from nuclear power generation: yet another big advantage. The rather worthy Energy Technlogies Institute has done a lot of work on this, and concludes there are approx 50 towns in England & Wales (but not Scotland, hoho! - the SNP won't play) that could benefit from one or more SMRs. So - come on, you thorium and molten salt enthusiasts! BTW, on the subject of Hinkley did you know that EDF have given a name to the radioactive turd? 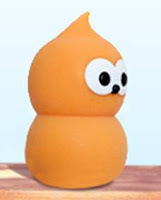 It's Zingy? Seriously! Who said the frogs have no sense of humour? Puts the costs / benefits of brexit in context. I bought shares in Lockheed Martin because they announced they were looking into this sort of thing. "...end points (peru) slowly die"
Not so andrew, the port of Callao has seen investment north of a billion dollars in the last ten years, changing from an expensive overmanned backwater to a world-class port that can take post-panamax ships. The only slight downside is that the forest of cranes has affected my view from the terrace of the pub. What nukes really need is a recognition that low dose rates of radiation are much less harmful than the design codes specify. If nukes were allowed to use the same exposures as hospitals routinely are, the costs of nukes, and of dismantling them, would drop like a stone. Mind you, it would also be wise not to build the bloody things in earthquake/tsunami zones. I don't care which one they use so long as David Cameron is forced to sit on it. I guess that means I'd prefer the pointiest one with a bulge six inches down it. I'm typing this illegally,on the move in a nuclear car,of my own design. I've had 20 years trouble free cheap mothering. It's just unfortunate that I can't stop as the temperature goes critical. Scotland has so much hydro and wind power that nuclear is much less attractive there than in England. and conversely, their exports to GB will be at very low prices, if not actually negative (cf Germany). Suits me. As far as I'm concerned they can put one at the end of my garden. Talking to a South African friend who was very pro thorium andraving about small 'pebble' thorium reactors. Small reacctors would allow a more distributed sources -no? As long as it's small and thorium I am support, but and uranium is silly in my book. They started from a sort-of working a German prototype, did R&D on it of over 11 years, at times with 1,800 staff and university researchers they claimed, and didn't get to anything commercially viable. The finance was almost entirely from public funds, including some from our BNFL and French Areva/EDF. The South African govt put up well over $1 billion. Eventually even the South African govt realised it was not going to be commercial, and pulled the plug in 2010 ("mothballed"). It had not "been able to secure an anchor customer, or another investment partner", "The project has been consistently missing deadlines", and needed several more $billion funding to build the first demonstration model. Par for the course on nuclear projects.